This paper deals with the Viking Age society of Vadsbo Hundred, Västergötland County, Sweden with a special focus area surrounding Lake Östen. I have attempted to understand the relationships between the many Odin references in the names of many natural features, Viking Age farms and settlements within the area. 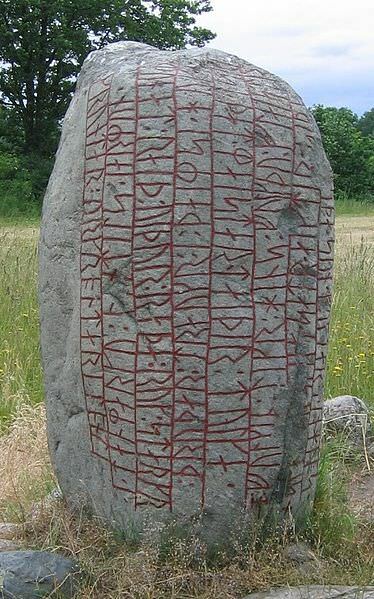 A possible link to an Odin cult being in operation during the period and how that effected the settlements and activities surrounding Lake Östen was also investigated due to the high number of Odin related names, places, and monuments within the area. The paper deals with the Viking Age population of Vadsbo Hundred, located in present day Västergötland County, in western Sweden. I have undertaken an effort to document all of the place-name references to Odin regarding both natural features, and Viking farms, settlements and monuments. This was done in order to help establish the theory that there was an Odin cult in place in the area during the Viking Age which had a strong influence on the local population as well as the settlement patterns within the area. It is possible that Vadsbo Hundred was seen as the home of Odin and the site of Valhalla in Asgård for the Viking Age people in this area. The aim of this paper is to understand the importance of and relationship between the numerous Odin references in the names of local natural features, and Viking Age farms and settlements within the area of Vadsbo Hundred, particularly around Lake Östen. Local contemporary as well as medieval place names will be studied in relation to one another as well as a comparison of all of the various Rune stones, burial mounds, surface finds and other ancient monuments related to the period in an attempt to understand the Viking Age inhabitants of Vadsbo Hundred, the locations of their magnate farms and their possible cult activities related to Odin’s home and Valhalla.